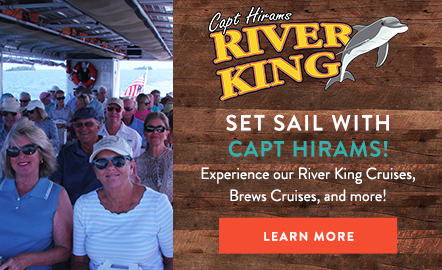 You are probably going to enjoy an adult beverage or two during your stay at Captain Hiram’s Resort. With 3 different bars to choose from, it might be useful to have a guide to the drink specials and specialties that each has to offer. Blackfins is the place to go for an ice cold beer or bucket of beers with a riverfront view. But did you know that Blackfins offers brunch specials every Sunday? From 8 AM- 1PM, it truly is Sunday Funday with Bottomless Mimosas and a Build Your Own Bloody Mary Bar. Not a beer drinker? Then make your way to Scoop’s Bar for delicious handcrafted cocktails. The higher end bar exclusively serves top shelf liquors. The Sandbar is actually 3 bars and offers a little bit of everything. They have beers. They have cocktails. 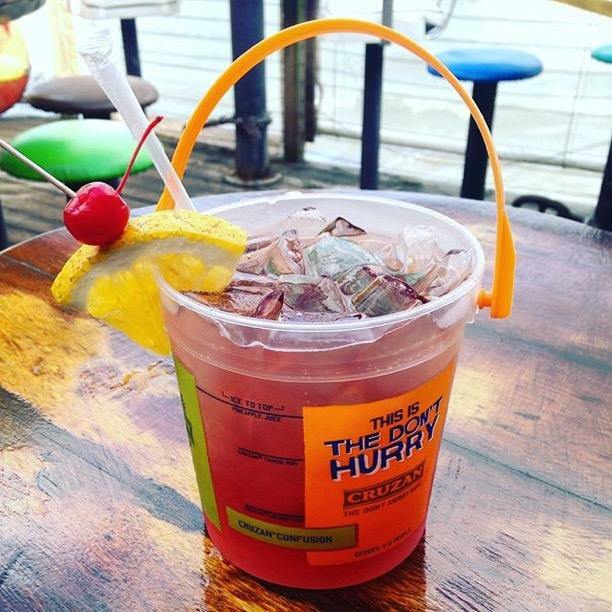 Try the Voodoo Bucket which contains five different rums and 3 different juices in a 32 oz. bucket. Other favorite cocktails include the Dark and Stormy Moscow Mule and the Captain’s Classic Mojito. No matter your drink of choice, Captain Hiram’s has you covered.